"Extra" host AJ Calloway has been suspended after multiple women came forward with allegations of sexual misconduct, Variety has confirmed. 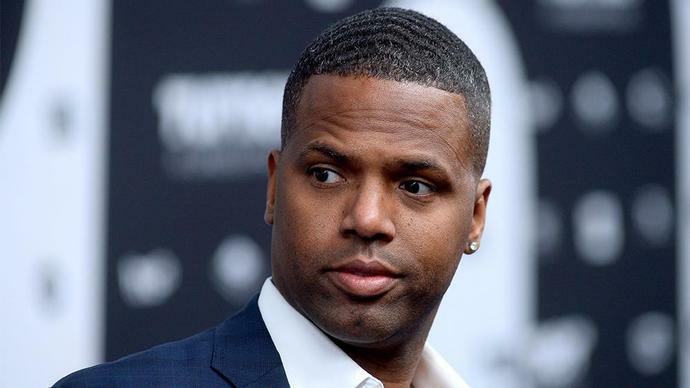 "Upon becoming aware of allegations of sexual misconduct against AJ Calloway, we began an internal review to determine whether there had been any misconduct by Mr. Calloway on 'Extra' and whether any employee of the show had been the victim of any such misconduct," producer Warner Bros. Television said in a statement, referring to earlier allegations against Calloway. "To date, we have found nothing to suggest that Mr. Calloway has ever engaged in workplace misconduct." Warner Bros. added, "In light of additional allegations brought to our attention, we are expanding our ongoing inquiries, and Mr. Calloway has been suspended pending further review. We take such allegations very seriously and are committed to doing everything we can to ensure a safe and inclusive workplace for all of our employees." A source familiar with the situation indicated that Calloway's suspension comes with pay. "Mr. Calloway maintains that these unsubstantiated allegations are patently false," said Calloway's attorney, Lisa E. Davis. "He vehemently denies that he ever assaulted anyone and looks forward to clearing his name." Calloway has been the subject of multiple accusations. He was arrested in 2006 after author and domestic violence activist Sil Lai Abrams accused him of sexually assaulting her, but the charges were dismissed. In early January of this year, two more women told the Daily Beast that they were also assaulted by Calloway. When news of Abrams' 2006 accusations came to light, Calloway said in a statement, "As I have maintained from the beginning, these allegations are not true. When I was first notified about these allegations by law enforcement more than a decade ago, I fully cooperated from the beginning and the case was dismissed." Calloway has worked at "Extra" since 2005.